Incredible Edible North Hampshire has secured a grant through Basingstoke & Deane Borough Council to fund the creation of a Community Orchard in the Basingstoke War Memorial Park, as recently featured in the Basingstoke Gazette. This entry was posted in Event, Food and tagged community, incredible edible, local food on March 9, 2013 by MCHeath. 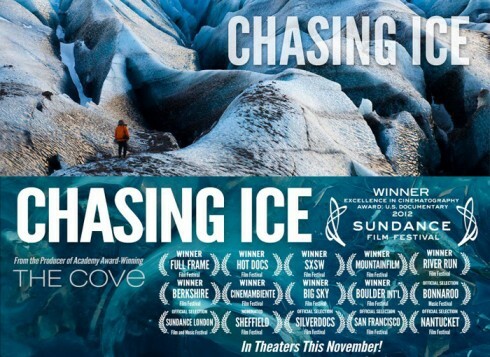 Chasing Ice is a newly released documentary that looks at the impact climate is having on our world. A screening of this amazing film has been organised at the Intech Science Centre near Winchester on Saturday 9th March, jointly sponsored by Solar PV Partners, Basingstoke Energy Services Co-operative, and Winchester Action on Climate Change. This entry was posted in Event and tagged climate change, film screening on February 28, 2013 by MCHeath.